The actor-turned-politician also congratulated the Editors' Guild of India for its strong response to the lodging of an FIR in connection with the incident and expressed hope that the "genuine authorities" in the government and the Supreme Court in particular would take notice and come up with swift corrective measures. 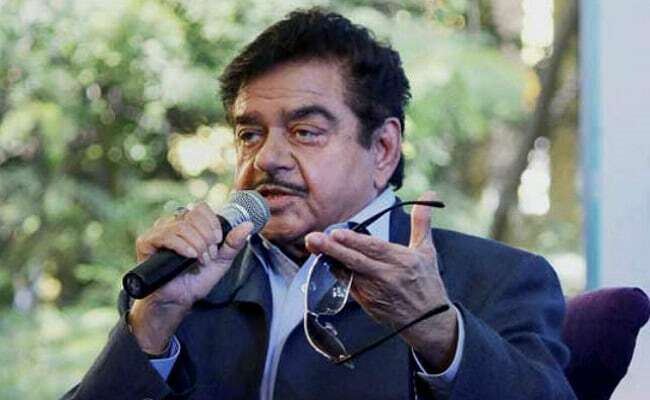 New Delhi: BJP lawmaker Shatrughan Sinha today wondered if the people of the country were living in a "banana republic", saying a journalist who did a story to highlight the misuse of Aadhaar details was being hauled up for reporting an "alleged truth". "What kind of 'justice' is this? Is there only politics of vendetta? Even public is being victimised for coming out honestly for society and the nation," he said in a tweet. Mr Sinha has been critical of the central government and the BJP leadership over a host of issues. "A journalist is hauled up for reporting alleged truth about malfunctioning & misuse of Aadhar. Are we living in a Banana Republic (sic)?" the tweet from the Patna Sahib lawmaker read. The Delhi Police has registered an FIR on a complaint from a Unique Identification Authority of India (UIDAI) official over a newspaper report on alleged data breach of more than one billion Aadhaar cards, naming the reporter, even as the daily said it would defend its freedom to undertake investigative journalism. The FIR mentions the names of the reporter and the people she reached out to "purchase" the Aadhaar data, but they were not named as accused, the police said.